I am always busy and running around, so I get quite tired during the day. Although I don’t sleep as much as I would love to, I love my bed and it is essential that I have a good night’ sleep so I can keep up with my hectic daily routine. 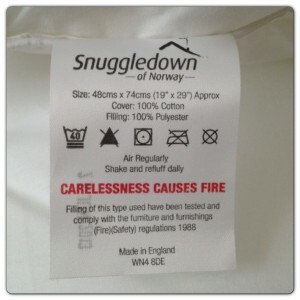 Snuggledown is part of the John Cotton Group. Snuggledown started back in 1901 in the cold climate of Scandinavia, the birthplace of the continental quilt, ever since they have been leading the design and manufacture of quality duvets and pillows, using only the finest materials sourced from around the world. All their duvets and pillows are carefully crafted from their range of naturally soft fillings and superior fabrics to meet the demands of busy lifestyles. I was sent Snuggledown Front Sleeper Pillows to try. 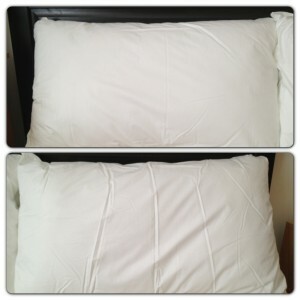 I must confess that I honestly can’t remember when we last changed our pillows, so they were well past their expiry date. I do wash them often, but they are not as soft as they used to be. 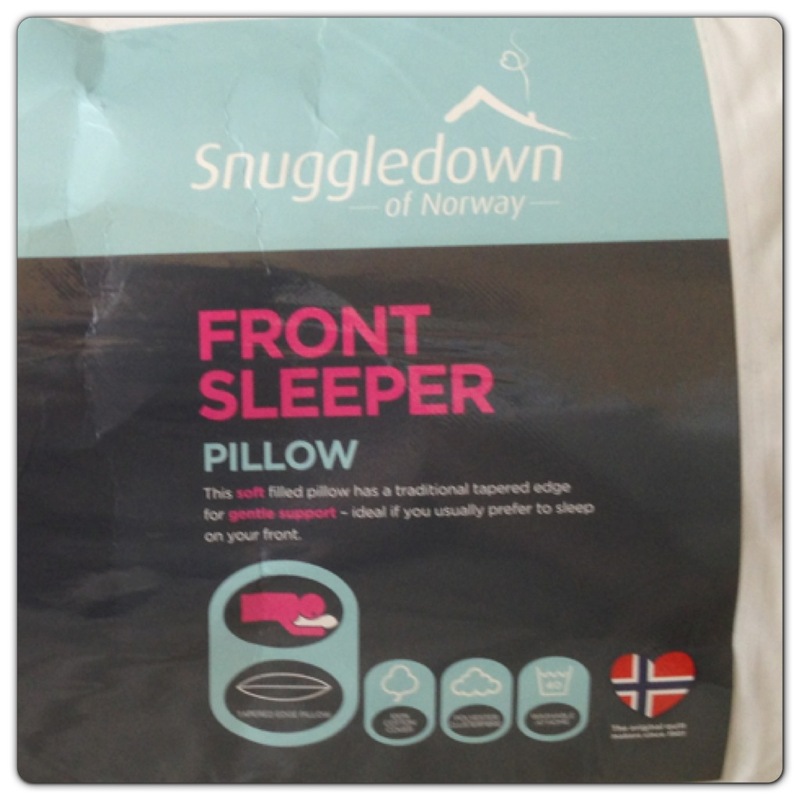 Once our Snuggledown Front Sleeper Pillows arrived, we were looking forward to trying them. It boasts a tapered edge for gentle support, the soft filled Front Sleeper Pillow is ideal for those who fall asleep on their stomach. Hubby and I sleep on our front, but we had no idea of the existence of pillows for front sleepers. Not only Snuggledown Front Sleeper Pillow is very soft and comfortable, it has a piped edge case, providing a perfect support for front sleeping. 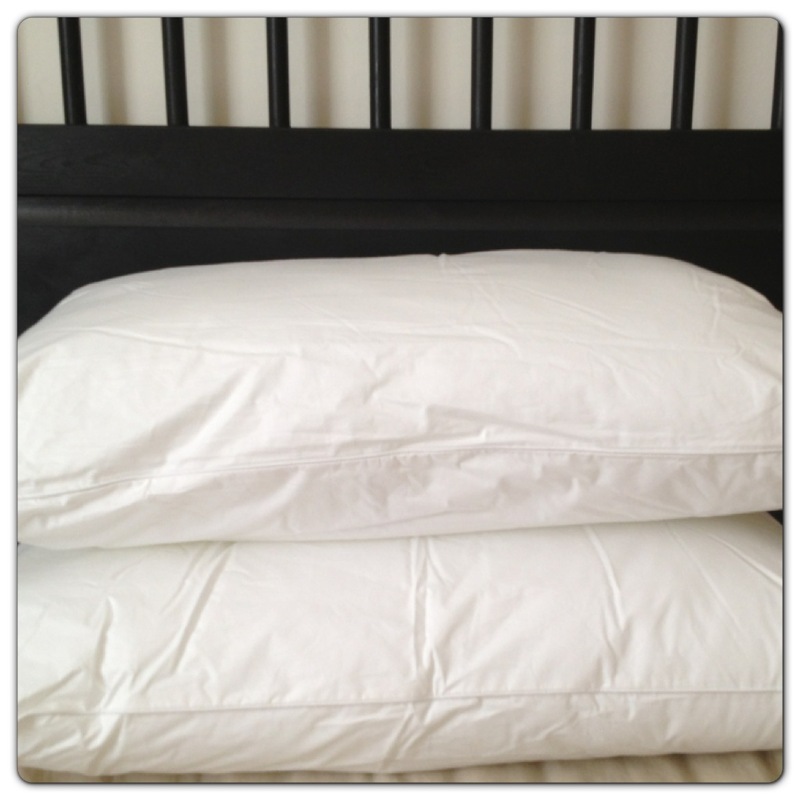 We both love our Snuggledown Front Sleeper Pillow! If you prefer to sleep on your front, this specially designed Front Sleeper Pillow offers a traditional tapered edge and super-soft filling for supreme support. Snuggledown Front Sleeper Pillow is machine washable at 40°C, made of 240 thread count, 100% cotton cover. It is non-allergenic and it has polyester clusterfibre fill. 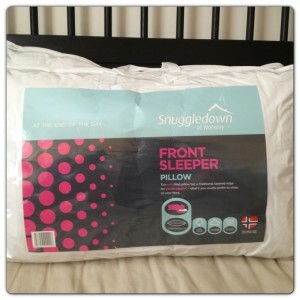 Snuggledown Front Sleeper Pillows is available at Littlewoods and Very.co.uk for £15. One Response to "Snuggledown Front Sleeper Pillows"
I had no idea there were special pillows for people who sleep on their front.